Every single one of my family members' birthdays falls within one week of each other. Every birthday, that is, except for mine. I get October all to myself. Anyway, this is the week! Because I'm far away from my family (I'm in Jamaica, my parents are in Denver, and my sister is in Washington DC) I will be celebrating here on my blog. Don't you just love the internet and it's ability to bring people together no matter where they are in the world? p.s. 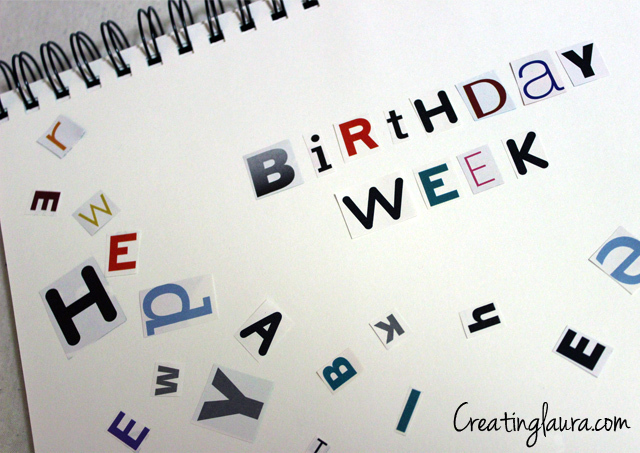 I made the birthday week picture by cutting out letters from Real Simple magazine and pasting them into my notebook.